Entrepreneurs dream about having a third hand and an extra eight hours a day. That’s because running a small business often means being everything to everyone. You are the inventor of the idea, the creative holder of that startup passion, the business development team, the marketing team, the human resources department, the IT department, therapist for your employees and the one who has to put out any spontaneous fire that might come up. It’s a lot, and that’s why successful small-business owners have become de facto experts in productivity. We talked to a number of the honorees of National Small Business Week, an annual celebration of small business owners across the country, about what they have learned about being productive. Each one has a unique approach to making the most out of their 24 hours, ranging from ultimate list-making strategies to what may feel counterintuitive: stepping away from their business and taking a break. Take a spin through this list of more than 30 tips from entrepreneurs on how to pump up your productivity. My best tip for staying productive is to embrace the reality that there is no such thing as a list of 10 priorities. Defining a very short list of true priorities helps focus teams and create alignment behind those projects that truly are the most important. We have identified that our best productivity stems from concerted focus. As an example, at the end of every day we encourage our team members to take a few moments to reflect on the successes and challenges that they experienced on that day and to write down the five top priorities for the next day, selecting the number one priority that must get done. We meet each morning for a short 10-15 minute ‘huddle’ where we share a success, report on the status of a key project, identify any challenges or obstacles and share the number one highest priority for that day. This type of focus helps to keep all of our team members productive and accountable. 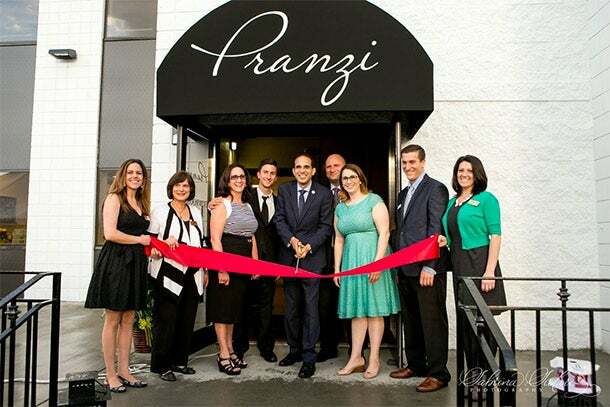 The most recent grand opening of a Pranzi Catering & Events location. Stay focused on goals, prioritize and avoid lingering on obstacles. Remain committed to your clients, focus on your goals and always remember that the actions you take each day, even the seemingly small ones, can make a difference. Work hard – but not all the time! Be positive and persevere. If you love what you do you do it all the time. Surround yourself with people that you can confidently delegate to. 8. Best Bath Systems Inc.
My first tip is to love what you do. If you don’t love what you do, you need to go find something else you enjoy. The second tip is for the senior person in an organization: It is important to have an absolute limited list of daily and weekly tasks to complete. You need to make time for yourself to think and read. Wasting time is an awful mismanagement of the most precious resource. Fine-tune your ability to be most effective and to build your capacity to take on & do more every day, at work, at home, as a volunteer, as a friend, etc. Our company’s culture on continuous improvement is not only in its product line, but with a focus on the personal development of our associates. By incorporating the 14 Deming principles as a working philosophy, we have been able to strategically increase staff productivity and position the organization as an asset to the manufacturing industry. I would encourage companies to integrate those principles into the workplace. 11. Custom Aircraft Cabinets, Inc.
Headquarters: Sherwood/North Little Rock, Ark. The slogan we espouse is “Our goal is perfection, anything beyond that is acceptable.” In order to believe and live that philosophy, we must always strive for continuous improvement. As a hands-on owner I keep up with all processes daily. I am always readily available to work in any department that needs a little help. This is a fast paced business. Included in our original business plan years ago was that everything had to be completed by the end of each day. In our business we have to service our client’s on time or their recycling bins overflow. We have to process the materials as they are brought in each day or we will quickly have an unmanageable back up. This keeps us all motivated. 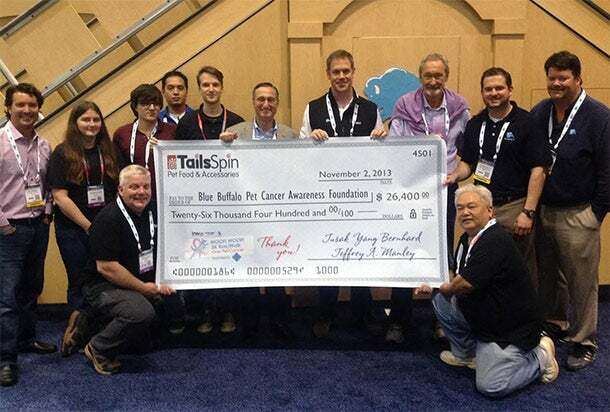 TailsSpin owners and management along with owners and management of the Blue Buffalo Pet Cancer Awareness Foundation, with part of a donation to combat cancer in pets. 14. Metaphrasis Language & Cultural Solutions, LLC. Delegate those things that keep you from growing your business and create a list daily of the things you need to accomplish. You avoid being less productive when you do not plan your day. Practice discipline daily. Distractions are inherent, not only in business, but in life. Post a sign where you can see it every day: Discipline + Focus + Follow-through = Success. The dust factor. If you’re not making it, you’re eating it. People, communications and technology. With the help of two management teams that are joined together by HR and Accounting, I am running two companies that on the surface have vastly different value propositions in two different industries with offices in three cities. We are headquartered in a small town, so I use a small private plane combined with commercial air to connect with as many clients and customers as I can in person at tradeshows and special events. For internal meetings, I use online applications such as GoToMeeting to stay connected with my management teams and their departments. I keep my notes in a handwritten daily journal and use a variety of software applications such as Outlook, MindJet, and SalesForce combined with an iPhone, iPad and MacBook Pro running both Windows and iOS. I have also become a fan of the Microsoft Surface with a keyboard and wireless mouse. Brisk exercise in the morning and remember you do this to make a difference in people's lives. In business issues constantly crop up .... If you are strictly motivated by making money ....you will get tired and give up easily. If there is a bigger cause no matter what the issues you will be motivated and keep going. The beauty is that when keep working thru issues and creating a better widget MONEY FOLLOWS all the time. 20. Strider Sports International, Inc.
Organization and prioritization… a hundred different ways to do it, but the most important thing is simply to DO IT! My best tip is to always finish what you start. You may face many obstacles, but always finish. It may not be pretty and it may not be your best work, but always finish. You never want to quit because you could be on the brink of a breakthrough for your business or your client and you would never know if you quit or don't even try. 22. Golden Cannoli Shells Co. Inc.
Plan, plan, plan. Productivity is a direct result of preparation and planning. Plan the day before, prepare what you will need and stick to it. (Unless an emergency, of course). Successful entrepreneurs know that their most valuable asset is their time. Be militaristic with how you spend your time. Don’t get sucked into low payoff activities. Too many entrepreneurs feel they have to do everything themselves. If you are spending nearly 100% of your time in the fulfillment side of your business, there’s no time left to strategically grow the company. Delegate those tasks that don’t need your personal touch by developing leaders in your company. Investing in people is as important if not more than investing in facilities and equipment. Free yourself up to focus on the long term strategic pieces of your business. How well you spend your time will dictate your company’s success. Headquarters: Savannah, Pooler and Macon, Ga.
We truly believe in our mission to serve our customers and the pet industry. With this belief, we are able to discover where we need to be, the paths to travel, and how to accomplish our goals. We look for ways to use our talents to better serve our community. We very much enjoy helping others succeed, which gives us the momentum to assist others when possible. 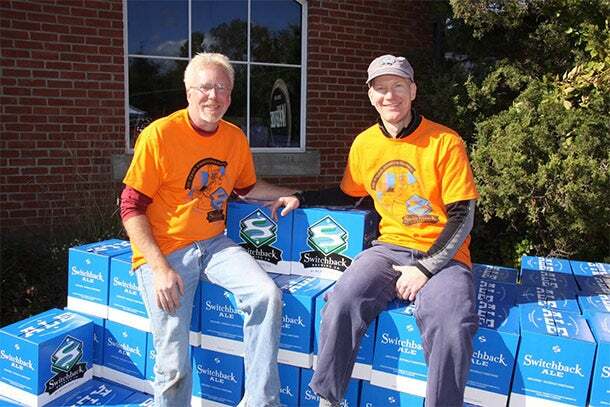 Jeff Neiblum and Bill Cherry, co-owners of Switchback Brewing Company (L to R). I use OCD and passion. 26. Chesapeake Environmental Management, Inc. In the biological world, organisms are either growing or dying, there is no inbetween. Delegate so you can focus on bigger goals. We make an effort to take time away from our business. You'd be surprised how a short break can help clear your mind and benefit your productivity. Spend time creating efficiency driven systems. CRM’s, Automated Proposal, Automated Quotes, Email Responses, etc. On those days when it is a challenge to stay focused you can let the systems work for you and just accomplish one task at a time. Keep it simple. All too often we make something far more complicated than it need be. And don't take life too seriously. Laughter is as necessary as oxygen. 31. Lightwell, formerly known as Oxford Consulting Group, Inc. Shut off your email for a 90 minutes every day. Don’t be distracted. Be completely focused on that proposal, or that R&D application, even that conference call. Be present, it makes a difference and people will notice.